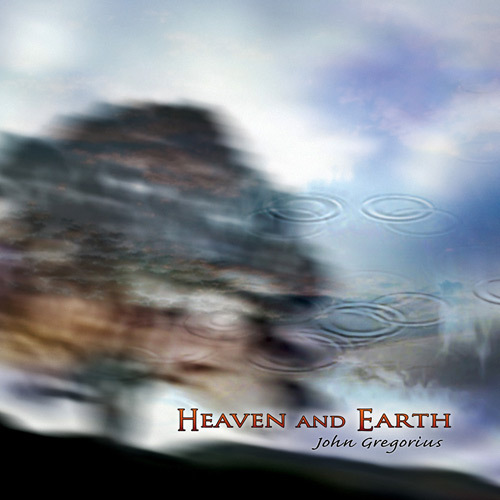 Heaven and Earth, the debut release from John Gregorius, is a mixture of acoustic and electric instrumental music that ranges from earthy finger style guitar to ambient textural soundscapes. The easy sound of Heaven and Earth provides a soft cushion in which one can hide away and decompress. However, this is not, by any means, a collection of lullabies as much as it is a grouping of beautifully performed compositions that allow the listener to slow down, feel comfortable, relax and truly appreciate the beauty of life’s often overlooked interludes. The music combines Gregorius’ love of both the acoustic and ambient electric guitar, and the collision of these two styles results in a wonderful blend of music that is both easygoing and engaging. First encounters often make the greatest impression, and so it is with this debut release from John Gregorius, a Southern California based guitarist working with both acoustic and electric finger stylings as well as ambient guitar textures and atmospheres, often together, solo and in a small ensemble format with tasty application of percussion and occasional fretless bass support. The overall style tends toward the personal and introspective, with multiple layers of guitar blending seamlessly with well crafted studio production wizardry to create a very soft and relaxing atmosphere, reminiscent of some of the earliest work of Richard Leo Johnson, or some instrumental endeavors by Leo Kottke or Will Ackerman. The rough edges of the acoustic guitar are all smoothed out and polished by the ambient electric atmospherics that create a subtle backdrop and cinematic imagery, hinting at the subtle beauty and natural wonder found in nature. This is a peaceful and pastoral world, intently created as such, to offer the listener repose and tranquility. While I suspect this may not be edgy enough for some listeners, it's nonetheless a superb release that lives up to its title. Recommended. John Gregorius is a guitarist who has one foot in the world of Windham Hill records and another in the ambient electronics of Brian Eno. His solo debut, Heaven and Earth is a nearly perfect pastoral reverie as he places his acoustic guitar in settings that sometimes swirl and glide like the keening of ‘Mercy’ where finger-style guitar meets a plaintive country-tinged electric over an Enoesque Apollo-era soundscape. World music hand percussion purrs gently in the background of the title track, while bassist Leo Song deftly emulates the fretless bass sound of former Windham Hill house bassist, Michael Manring. ‘Secret to Light’ works as a meeting ground of Will Ackerman and space music. Ambient atmospheres, growling electric guitar textures and rolling drums straight out of Pink Floyd's ‘Set the Controls for the Heart of the Sun’ lift this track to the skies. Minimalist loops send ‘Pearl of Great Price’ into a meeting of Ambient Americana and Indian music, with udu drum and a guitar lead that sits between languid country blues and Indian raga. John Gregorius is an acoustic player with an understanding of electronics and ambience. He's found a perfect balance between the two, strung halfway between heaven and earth. John Gregorius offers us a wide range of very melodic themes, pleasant to listen to, and even most enjoyable indeed. The style can be more or less placed within Contemporary Instrumental Music, with some characteristics of Pop and Ambient. The music is, on the whole, soft, and with clear romantic traits. Sometimes it becomes festive, and at other times melancholy. The main instrument is the guitar. The music reaches deep inside when listened to with due attention and peace of mind. ‘Heaven and Earth’ is an album that transpires sensitivity from all its pores. On his solo debut album, Heaven and Earth, John Gregorius finds a meeting ground between Windham Hill fingerstyle guitar and ambient music. The heritage artists of Windham Hill were all influenced by 70s progressive rock sounds, and so was John Gregorius, especially the pastoral side of groups like Genesis with the finger-style playing of Steve Hackett, Anthony Phillips and Mike Rutherford. John Gregorius cites them, but you can also hear the influence of Windham Hill's Will Ackerman and Michael Hedges in his playing. However, though it has some nice solo acoustic tracks, what really makes Heaven and Earth rise above are the ambient landscapes where Gregorius sets his tunes. Enoesque landscapes ride under ‘Mercy,’ surrounding his finger-style guitar and electric, country-tinged lead with a hazy aura. A William Orbit style sequencer pattern traces the outline of ‘Pearls of Great Price,’ which at its core is a meeting of Ambient Americana and eastern music. Udu drum and a guitar lead that sits between languid country blues and Indian raga turns into an east-west fusion. John Gregorius is a musician of eclectic tastes, but with a unified vision. You can tell he's listening to acoustic players, but also has his fingers in rock and ambient music. A track called ‘Secret to Light’ sets plaintive acoustic guitar in an atmosphere of growling, shoegazer rock textures and rolling drums played with mallets that come straight off the launch pad of Pink Floyd's ‘Set the Controls for the Heart of the Sun.’ On the other hand, Leo Song's rubbery fretless bass sound had me thinking Michael Manring had slipped in. Echoes of early music by Steve Tibbetts might come to mind while listening to Heaven and Earth. Gregorius doesn't think in Tibbetts's epic scale, but his mixture of acoustic and electronic, psychedelic and pastoral, world and folk music recalls albums like Yr. Heaven and Earth is a subtly intoxicating album that seems comfortable, while at the same time taking you to new destinations each time you put it on. Deft acoustic guitar compositions supported by subtle electronic elements. 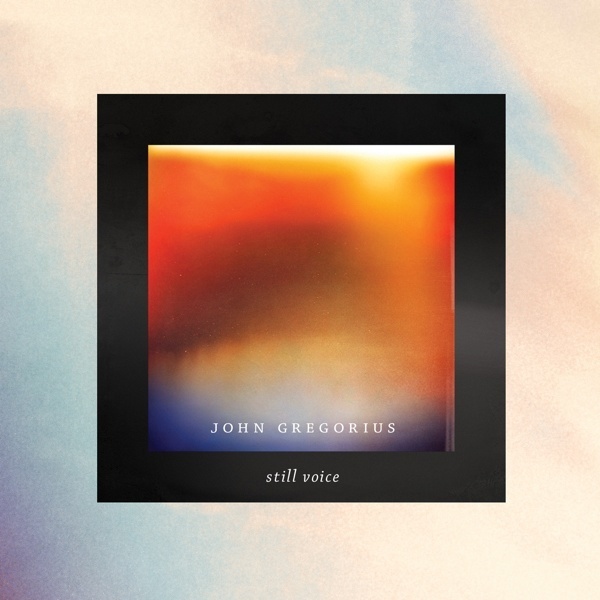 John Gregorius delivers a set of warm, inspirational pieces that primarily feature acoustic guitar melodies carried by restful beats and beatless ambience. John's playing skillfully moves from softly plucked themes and confidently fingered leads through strummed chords and flicked harmonics to an almost flamenco finger picking style in places. Electric guitars with various effects are employed in places to broaden the strings and vary the palette, nevertheless John chooses a consistently clean sound in keeping with his uplifting approach and thematic content. The accompaniment includes smooth electronic textures, delay loops, ebow strains and some fretless bass work. On the track Inner Room the electronic aspect of the music comes to the fore - a drifting, atmospheric arrangement of tranquil swells and crepuscular drones. The percussion tracks make use of live drums, and programmed grooves as well as some more exotic items such as udu drum and mallet drum. John Gregorius has worked for some time as a producer, guitarist and engineer producing or playing for artists such as East West, Reel Big Fish, Bionic Jodi and many other Southern California based acts. Heaven and Earth sees this talented musician focussing his abilities onto his own music contemplating the possibility of meaning within life’s mysteries. John releases this ten track CD through O3E Music, a new division of Spotted Peccary, this label being dedicated to ‘a fresh vision of Classical Impressionism, Art-based Jazz, Electronic, and Post-Progressive Rock.’ The pieces here are very peaceful and positive, managing to deliver pleasant, harmonious music that touches the emotions without becoming too sugary or sentimental. Whether performing solo guitar or electric lead within thicker ambience, John's creations flow naturally combining his diverse influences seamlessly. Guitarist/composer Gregorius' debut solo work is a lovely, if unassuming set of mostly ambient guitarscapes and gentle, breezily pastoral music. 'Heaven And Earth' is a positive and relaxing collection of songs (both acoustic and ambient) that float and recede into the background, setting a quiet and mellow kind of mood. Expect no dark overtones or foreboding textures here, as these songs evoke a more balanced and harmonious side of existence - natural and unhampered by modern society's stresses and complications. Gregorius' finger-picked guitars (as in the shimmering 'Follow Me') are beautiful and really quite relaxing. A nice pick-me-up after a long, trying day.